Living in the city can often feel oppressive with traffic around every corner and tall buildings blocking most of the sun. Luckily, salvation isn’t far away. Get out of the concrete jungle and enjoy the open road for the first time in weeks. Here are nine of the best quick drives you can easily hit from some of America’s great cities. Get moving. 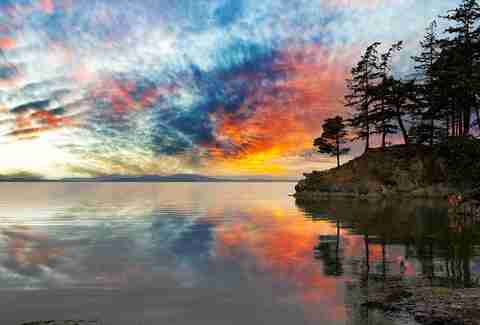 Chuckanut Drive is a road along the coast that’s maybe greener than any drive you’ve taken in your life. You’ll be surrounded by overhanging trees and it’ll often feel like you’re driving through a tunnel of foliage. There’s a faster way to get to and from Seattle, but why would you skip a beautiful, twisting, cliff-bound drive full of farmland and mountains? You can even make make it a foodie trip by stopping along the way at places like Breadfarm or Taylor Shellfish Farms. 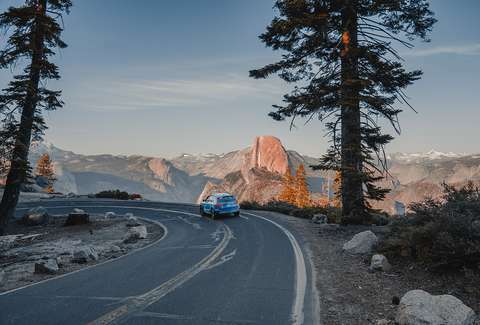 West coast drivers have the ultimate asphalt blessing: Highway 1, an idyllic, 655-mile stretch of Pacific coastline driving. Blast some music and take the trip up to the perfectly unfancy and delicious Malibu Seafood Fresh Fish Market. Open your window for the ocean breeze. Get some fish, grab a picnic table across the parking lot, and stare at the water. Now, drive to Point Dume, and sit on the beach for as long as you possibly can. You can see the mountains from the city and they’re calling your name. 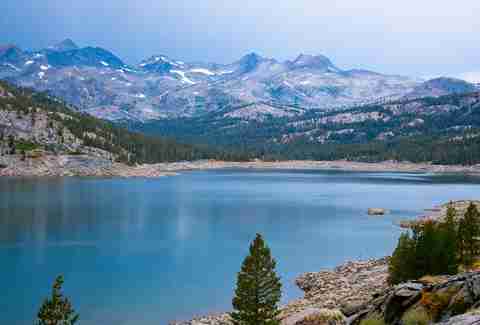 Drop everything (except your keys) and drive straight to Gem Lake Trail. Cruise up the mountains and keep the windows open for that fresh air, even if it’s cold. Lean into the curves and accelerate at the apexes. You’re in the Rocky Mountains, for God’s sake: Not having your windows down should be criminal. Even though Asheville isn’t known for hustle and bustle, everyone needs to get out of town once in a while -- and you’re so close to an amazing drive, especially in the fall. 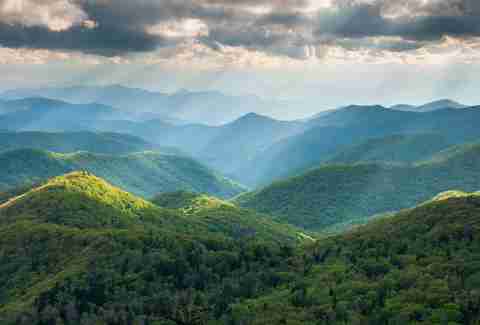 Meet up with the Blue Ridge Parkway wherever it’s closest to you and take it to Mount Mitchell State Park. The overlook is spectacular. Keep driving on the parkway and, pro tip, throw on some driving music you can turn up. 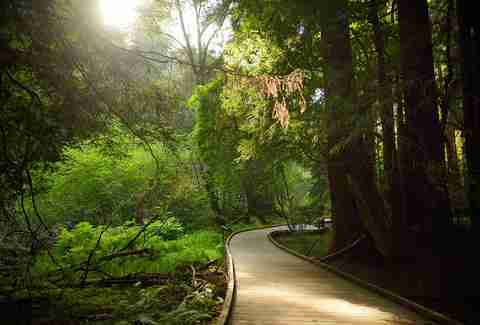 A drive in the City by the Bay is now more stop than go, so take the Golden Gate Bridge out of the city, head to Muir Woods National Monument, and drive among trees that were around when Charlemagne was crowned emperor of Rome. Then go directly to Hog Island Oyster Co in Marshall. 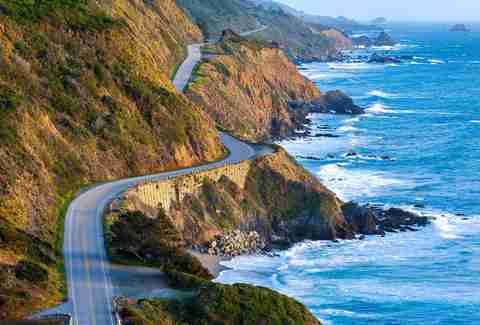 You’ll take the famous Highway 1 and enjoy stunning views of the ocean and Point Reyes National Seashore. You might not want to stop. You’ve heard of Minnesota’s many, many lakes, but there are also many, many rivers that make for great weekend cruising. Take I-94 E out of Minneapolis and connect with MN-95 N/St. Croix Trail North. 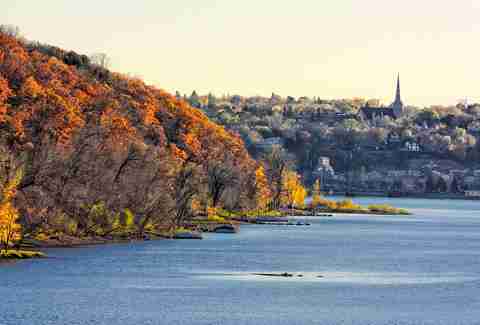 You’ll follow the St. Croix River, which you can take all the way up to the National Scenic Riverway Visitor Center. The whole trip feels like you’re canoeing along the St. Croix, but in a much better (and faster) vehicle. You can easily take this route back to the city if you’d like, but you can also head back by starting on US-8 E if you want a change of pace and enjoy views of some of the state’s 11,842 lakes. 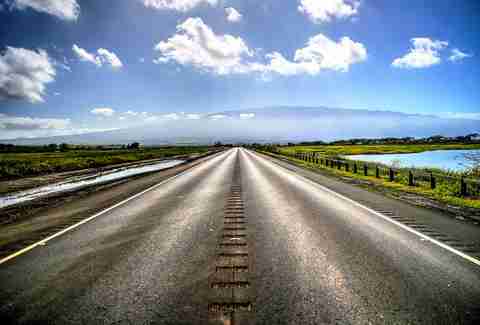 Iceland has its famous Ring Road that circles the entire country but America has the Maui Loop in Hawaii. You’ll drive from Kahului, taking the Hana highway to Ho'okipa Lookout for a spectacular view of the ocean. When you’re not on the ocean, you might be climbing mountains with stunning overlooks and steep curves. Drive to Halfway to Hana for their famous banana bread, and then stop at the Hana Lava Tube, Waianapanapa State Park, or Koki Beach -- or just keep going to the Laulima Farm Fruit Stand or Grandma’s Coffeehouse on your way through the trees. 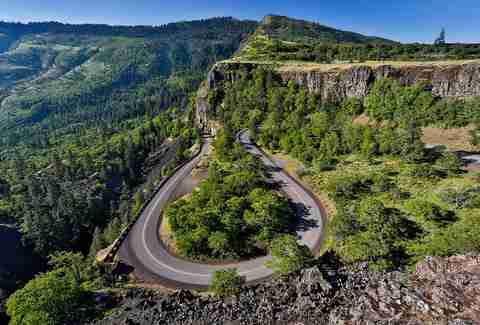 The Columbia River Scenic Highway was the first scenic highway in this country and you’ve probably never heard of it, even though it’s beautiful and filled with moss, waterfalls, flowers, and, of course, the river. Take it to Vista House for a panoramic view, or keep driving to Latourell Falls or Bridal Veil Falls or Multnomah Falls or Horsetail Falls (there are a lot of waterfalls). Keep your window open and listen to the falls thunder as you speed by on your way to Cascade Marine Park where you can overlook the Bridge of the Gods. Yes, that’s what it’s really called. What New York has in traffic and congestion it makes up for upstate. To make the most of it, head north along the Hudson River and take the road to Bear Mountain, which is known for its hiking (the Appalachian Trail runs through it) and stunning view from Perkins Memorial Drive. 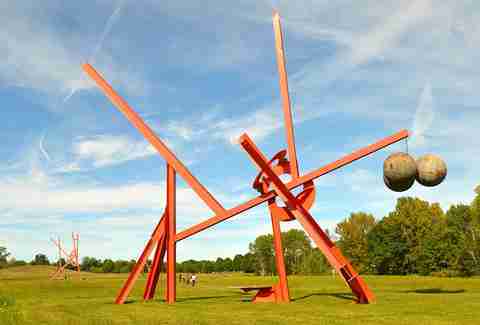 Then drive to the giant sculpture park that is Storm King Arts Center or see farm animals at Stone Barns Center for Food & Agriculture. Or, you can cross that bridge you saw, Bear Mountain Bridge, and get lost in the windy roads of the mountains. Hopefully you have a car that can handle turns and hills. If not, take it easy, enjoy the view, and head back down to the city along the river.